Primes Versus Zoom Lenses: Which Lens to Use and Why? Which type of lens is better, a prime lens or a zoom lens? This is one of the most debatable topics in photography. Some of you might choose a zoom lens and others may choose a prime lens, it all depends on what and where you are going to shoot. It is really important to know what each of the two types of lenses are, and which type should be used during a given situation. This article will help you in this area. A lens that has a fixed focal length is known as a prime lens. So if you want to change your view of the frame, you will have to go closer to, or farther away from the spot where you are standing. As the focal length is fixed, there is no zoom ring on the lens. There is a wide range of prime lenses available on the market, ranging from wide-angle prime lenses (such as 14mm and 24mm lenses) to medium and long range telephoto prime lenses (such as 135mm and 400mm lenses). A Sigma 20mm prime lens. A lens which has a variable range of focal lengths is known as a zoom. Using such a lens, you do not need to move from your spot, and adjusting the zoom ring allows you to get a wider or narrower angle of view. So by using a zoom lens, you can change the focal length in order to adjust the angle of view. There is a broad range of zoom lenses available, be it a wide zoom lens (such as the 12-24mm or 16-35mm lenses), the telephoto zoom lens (such as a 70-200mm, 100-400mm, and 150-600mm lenses), or the multi-purpose zoom lens (such as the 18-300mm and 24-105mm lenses). One of the biggest advantages of using a prime lens is that you get to use a wide aperture (small f-number) such as f/1.8 and f/1.4 at a reasonable cost. For example, the Canon EF 50mm f/1.8 STM Lens (only $125) and the Sigma 85mm f/1.4 DG HSM Art Lens ($1199 compared to the Nikon version at $1599 or the Canon one at $1899). Whereas, a zoom lens such as the Canon EF 70-200mm f/2.8L does not allow you to shoot wider than f/2.8, and that will burn a hole in your pocket (close to $2000). A prime lens allows you to use an aperture value as low as f/1.2 or f/1.4, thus providing a really shallow depth of field. Using such wide aperture opening, you can get more of a bokeh effect which means that your subject would be in focus and the background/foreground is blurry. Comparatively a zoom lens may only allow you to go a wide as f/5.6, f/4 or f/2.8, resulting in a wider depth of field as compared to a prime lens. Therefore, if you are planning to get shallow depth of field (more bokeh effect) then using a prime lens would fulfill your requirements. Shot at f/1.4 using the Sigma 20mm f/1.4 DG HSM Art Lens. As mentioned above, a prime lens can let you use an aperture value as low as f/1.2-1.8 which lets more light into the camera. While shooting in low light conditions using a prime lens you can use a faster shutter speed as it lets in 3-4 more stops of light (f/1.4 > f/2 > f/2.8 > f/4 > f/5.6 – a 50mm f/1.4 lets in 4-stops more than a standard f/5.6 kit lens) compared to a zoom lens. So if your zoom lens at f/4 is giving you a shutter speed of 1/20th, using a prime lens at f/1.4 would allow you to use a shutter speed of 1/160th. If you are in a situation where the lighting is low and you do not have a tripod, using a prime lens would have an added benefit as it allows more light into the camera. There are fewer lens elements inside prime lenses, each placed to perform a specific role. This is the reason why a prime lens produces less optical flaws such as chromatic aberration and lens distortion, thus resulting in better image quality. The number of lens elements in a zoom lens is more because it has to provide variable focal lengths, resulting in decent sharpness. However, even zoom lenses are getting better day by day in terms of image quality and sharpness to closer match the results captured by prime lenses. One of the biggest advantages of using a zoom lens is that it allows you to change focal lengths without changing your lens. A zoom lens provides a range of variable focal lengths which can be adjusted using the zoom ring on the lens, the range depends on the lens model. To name a few zoom lenses, you can get 18-55mm, 16-35mm, 24-70mm, 70-200mm, 100-400mm, and 18-300mm lenses. While using a zoom lens you can even go from a wide angle view to a telephoto view without even changing the lens. So if your shoot requires you to switch between various focal lengths then it is better to use a zoom lens to save time and to avoid missing any important moments. In wedding photography, sports, and while traveling you should be using a zoom lens the most, because if you switch between multiple prime lenses then you might end up missing the moment. This image shows the range of focal lengths the Tamron 18-200mm F/3.5-6.3 Di II VC lens provides. A zoom lens such as the Canon EF 70-300mm f/4-5.6 is basically five prime lenses in one as it covers some of the most commonly used focal lengths such as; 85mm, 100mm, 135mm, 200mm, and 300mm. Imagine how easy and light it would be to carry a single lens in comparison to carrying five in your camera bag. Though the zoom lens would not allow you to use a wide aperture or give amazingly sharp images as a prime lens would, but it would surely help you pack light. Now it is all up to you, either choose the advantage of the portability of a zoom lens – or carry the extra weight if you are not willing to compromise on image quality. If you are a frequent traveler who likes to pack light and can compromise a bit on the image quality and the ability to shoot a wide aperture, then a zoom lens is an ideal choice for you. As stated in an example above, the Canon EF 70-300mm f/4-5.6 IS USM Lens is basically five in one (or even more). So now if you do the math, a $449 zoom lens can allow you to use any focal length ranging between 70mm and 300mm. Whereas, if you buy five or more prime lenses then you might end up spending over $4000. A zoom lens would be ideal for you if you have just started in photography and want to explore different genres of photography. First invest in a decent zoom lens such as the 18-55mm, 18-300mm, 55-250mm lens or the 70-300mm lens. Then once you are sure about what genre of photography you want to go ahead with then you can buy your next lens accordingly. Conclusion: A Prime Lens or a Zoom Lens? 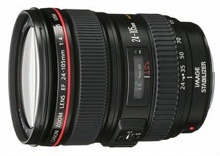 There is no doubt that prime lenses are superior when it comes to sharpness and image quality. However, zoom lenses are improving constantly, but still not close enough perhaps. Though some premium zoom lenses such as the Canon EF 70-200mm f/2.8L and Canon EF 24-70mm f/2.8L II USM produce images with brilliant sharpness and less optical aberration. If you are looking for that beautiful bokeh effect which can only be achieved at wide aperture then you will have to go for a prime lens. It will allow you to choose aperture values such as f/1.2, f/1.4, or f/1.8. Similarly, to shooting in low light conditions a prime lens will give you the added advantage of using a faster shutter speed, thus resulting in sharp pictures. But if you are a frequent traveler or are not familiar with the location, then using a zoom lens will be a safer option as it is a versatile as well as a portable option. Even at weddings or while covering events you cannot rely on a prime lens as there are limitations of moving around the area, therefore using a zoom lens is a wiser choice. Please share your thoughts on the prime versus zoom lens discussion below. Which lenses have you opted to use?